After taking over from Br Blue 86259 'Les Ross' at Preston, LMS Class 5MT 4-6-0 no 45305 hauls the 1Z87 11:06 Preston to Carlisle via Hellifield and the Settle of Carlisle line. The tour had originated from London Euston as 1Z86. 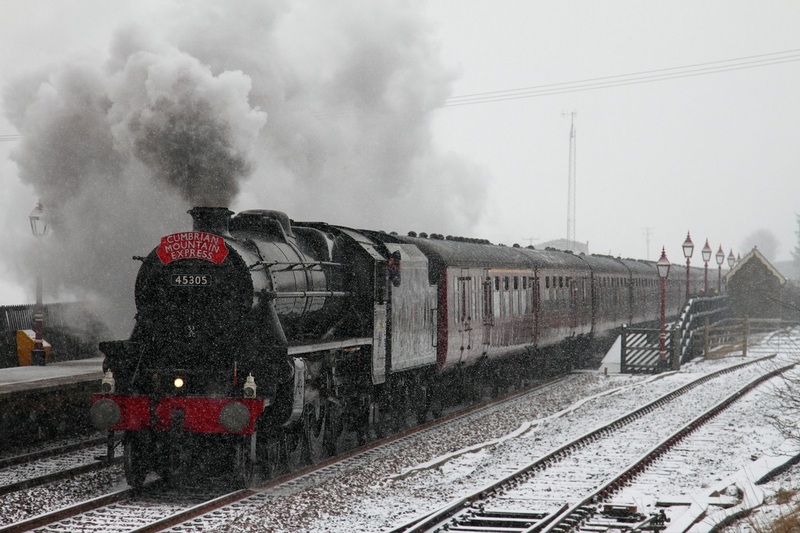 The Black Five makes an enthralling sight at Ribblehead station in wintry conditions on the 4th February 2012.